Comments:	 Built for moving railway wagons across the Rhine. The Prussian Government would not allow bridges across the Rhine near “fortress areas”. 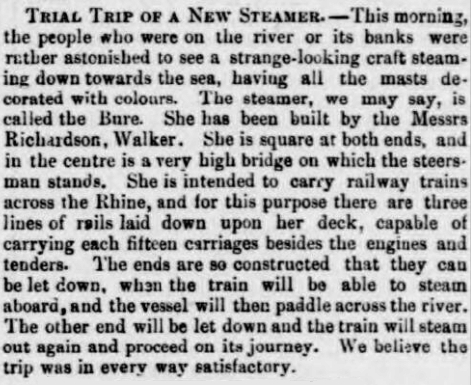 This complicated the development of the railways, so the train ferry RUHR was specially designed to enable the Government to transport heavy coal trains across the river.